German car maker Volkswagen has established Volkswagen Mobility Solutions Rwanda (VMSR), an integrated automotive mobility solutions company that is to be run under the auspices of Volkswagen Group South Africa (VWSA). VWSA is responsible for the sub-Saharan African region within the Volkswagen group. VMSR’s rollout will see Volkswagen invest around $20-million in Rwanda. In December 2016, Volkswagen signed a memorandum of understanding (MoU) with the Rwanda Development Board (RDB) to conduct a detailed study on the business case for Volkswagen to introduce an integrated automotive mobility concept in Rwanda, which would be a first for Volkswagen worldwide. “Our studies are complete, we believe that we have a business case that will work and we are now ready to commence with the implementation of our plans for Rwanda,” said VWSA MD Thomas Schaefer in the Rwandan capital Kigali on Thursday. VWSA selected Rwanda as the African country to study the feasibility of an integrated automotive mobility solution owing to its political stability and zero tolerance for corruption; its economic growth of some 7% a year; the country’s young and tech savvy population; Rwanda’s leadership position in innovation and technology; the strong government support Volkswagen has received for its plans; the country’s need for modern mobility solutions, and the fact that Kigali is spearheading a smart city agenda. Volkswagen will adopt a phased approach in the implementation of its integrated automotive mobility solution. The first phase will see the group establish a local mobility services company; oversee the establishment of a Volkswagen manufacturing and sales entity; set up a vehicle assembly operation; establish a sales and service structure; set up a training centre and, finally, offer a new mobility solution to the local market. VMSR has already been registered. A building has been identified to house the Volkswagen operations. The assembly facility will have an initial installed capacity of up to 5 000 units a year, with 2018 being the group’s start-up year. 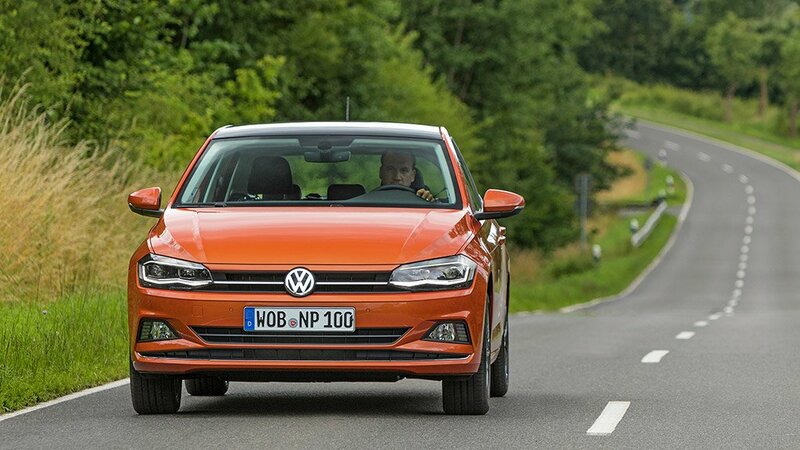 The Volkswagen product portfolio will initially include the hatchback Polo, the Passat, a sedan and possibly the Teramont, a large sports-utility vehicle. The Polo will be supplied in kit form from the VWSA plant, in Uitenhage, in the Eastern Cape. Volkswagen has signed an MoU with the CFAO Automotive group to run its production and retail operations in Rwanda. This agreement includes the importation of other Volkswagen models to be sold on the Rwandan market. Volkswagen has other partnerships with CFAO in Africa, including the running of production facilities and retail operations in Kenya. The current Rwandan business plan assumes employment of between 500 and 1 000 people in Kigali in Phase One. This includes jobs in administration, production, training, sales and service and the drivers employed in the car-sharing and ride-hailing scheme. A Rwandan software development start-up company, Awesomity Lab, has been appointed to develop the VMSR mobility app. The first service to be offered will be community car sharing, which will launch in the second quarter of this year, with around 150 vehicles in service within a few months. This will be followed by a ride-hailing service with some initial 150 vehicles, also planned for 2018. In 2019, public car sharing, with some initial 250 cars planned, will be launched. This will be followed by a shuttle service. A peer-to-peer car sharing service is also envisaged. These numbers are based on assumed market demand. All the mobility services will be accessed by a custom-developed app through which all bookings and payment will be made. Services may be booked online, or through a hotline to cater for people who do not have smartphones. “We are delighted with the progress that has been made since we signed the MOU with Volkswagen in 2016,” said RDB CEO Clare Akamanzi. “[VMSR] can be the role model for similar solutions for countries in Africa and other continents,” added Schaefer.